From the year 1993 to 2005, Muniyamma lived in Krishnagiri Polio Home that is supported by World Vision India. Now, 32, she works in a Government sector in the Audit department as a Consolidator. Although Muniyamma is disabled and her movements limited, she still exudes with confidence that inspires everyone around her. Muniyamma joined the Polio Home when she was in the 3rd Standard because her village only had a primary school. Within a couple of years of joining the Home, Muniyamma underwent a surgery followed by physiotherapy and received her first calliper leg brace, until then she had to crawl to move about. 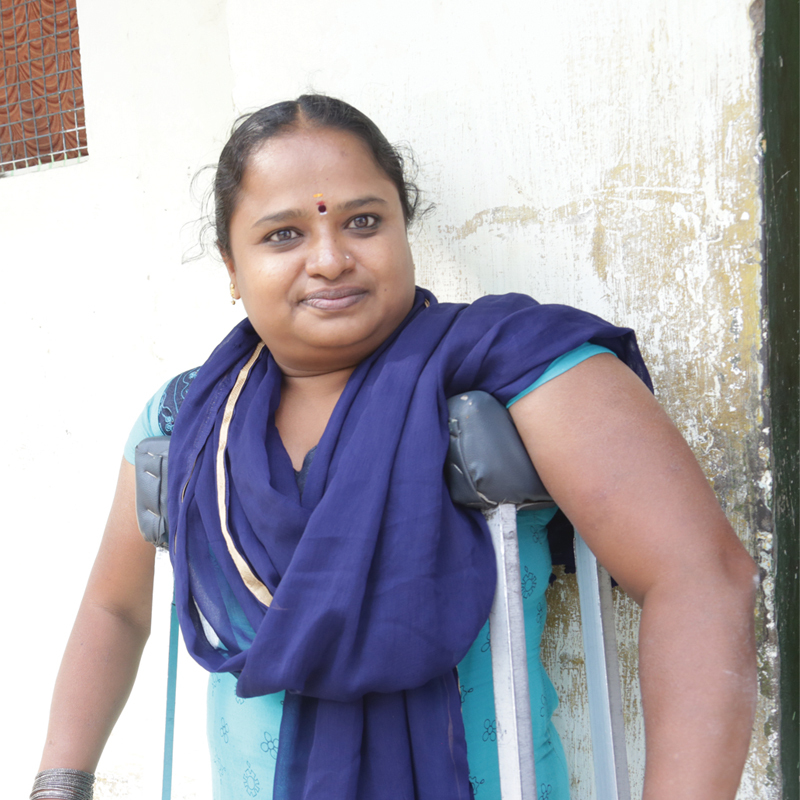 “I wouldn’t have walked if I had not come to the Home”, says Muniyamma. After completing Std 12, Muniyamma pursued a Bachelor’s degree in Commerce and enrolled for computer classes too. Soon after completing her degree, she started a Computer Centre providing jobs for many. Muniyamma ran the Computer Centre for five years. She later completed her post-graduation and B.Ed. She still dreams of becoming a teacher. Muniyamma lives with her parents who are farmers. Her achievements have left us overjoyed and we are greatly indebted to sponsors who through their faithful giving have changed lives of Muniyamma and many like her. Your support has turned Muniyamma’s life around. When asked what she would like to tell people like her, she says “keep persevering”.